Ambitious New Zagreb has radically changed over the past 60 years, but always remained a desirable place to live. For decades New Zagreb was pejoratively called Zagreb’s dormitory. According to critics, the monumentality of its socialist architecture and lack of any facilities destined it to become a ‘dehumanized’ suburb. Consequently, New Zagreb was never seen as part of Zagreb or its one-thousand-year-old history, but always a ‘new’ city on the ‘wrong’ side of the Sava, a blank spot on Zagreb’s map. However, 60 years after the first steps were made to the Sava’s southern bank, New Zagreb’s modernist image is profoundly changing. 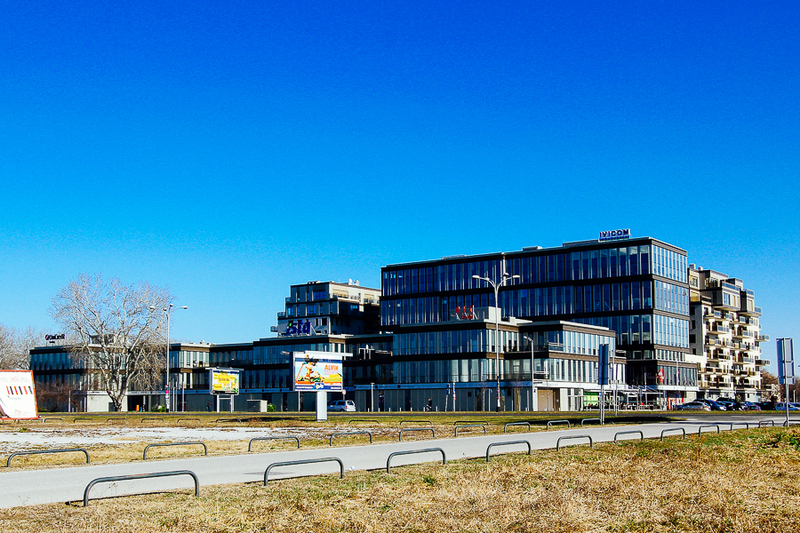 Nowadays the city south of the Sava is truly coming to life, stemming from office buildings, a museum, sports hall and shopping centers being built throughout New Zagreb. Its planning legacy produced new concepts of urban living which are nowadays being recognised, making its estates and their open, public spaces increasingly desirable places to live. Plans to urbanise areas across the Sava are rooted in Zagreb’s continuous development from the turn of the 20th century. Industrial growth contributed to urban expansion, as industrial zones sprung up along the railway attracting a growing number of workers. Eventually this became Zagreb’s working-class district, called Trnje. Master plans from the 1930s foresaw the revitalisation of these areas, but the Second World War prevented them from being realised. The postwar Socialist state provided a new, more economical framework of expanding Zagreb. Instead of revitalising slum-like Trnje and other neighborhoods in Zagreb, building a new town south of the Sava on what had been agricultural land was seen as an easier option to modernise the cityscape, with Zagreb Fair as the flagship project. One of the greatest advocates of expanding Zagreb to the Sava’s southern banks was Većeslav Holjevac, Zagreb’s mayor from 1952 to 1963. 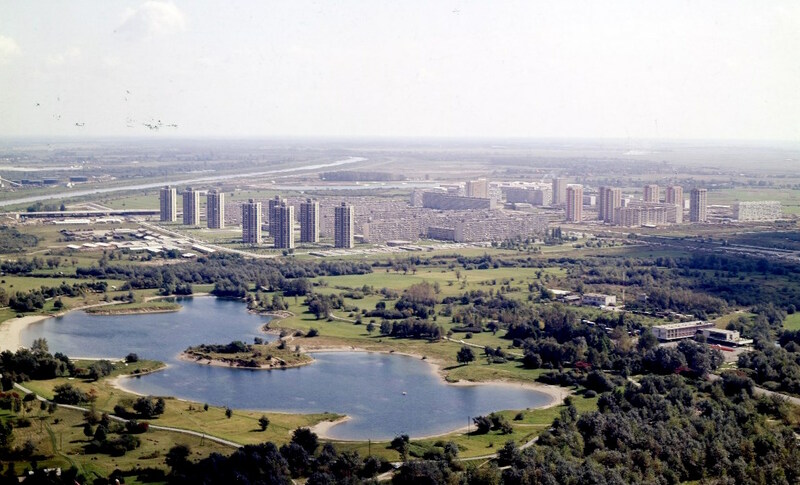 It was during his governance and with endorsement from Yugoslavia’s president Tito that a millennium long era of building the city north of the Sava was finished. 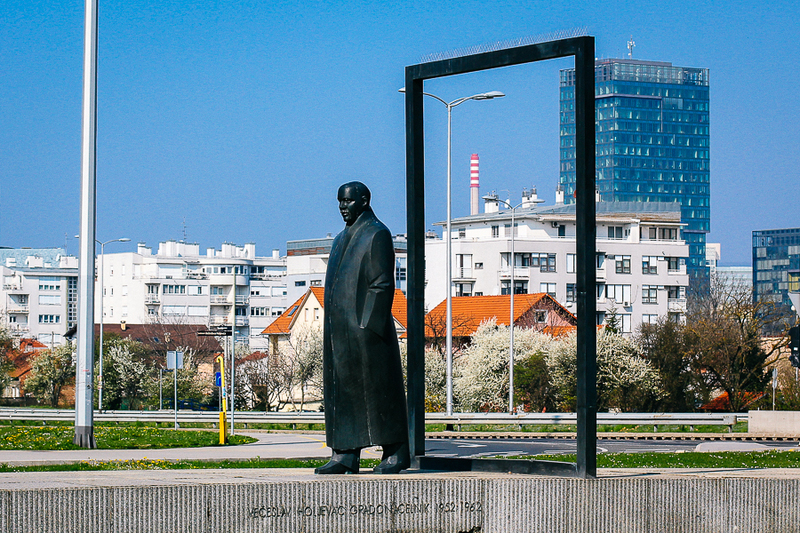 Većeslav Holjevac’s monument, on the ‘gates’ linking the ‘two cities’ and symbolizing the historical leap across Sava. 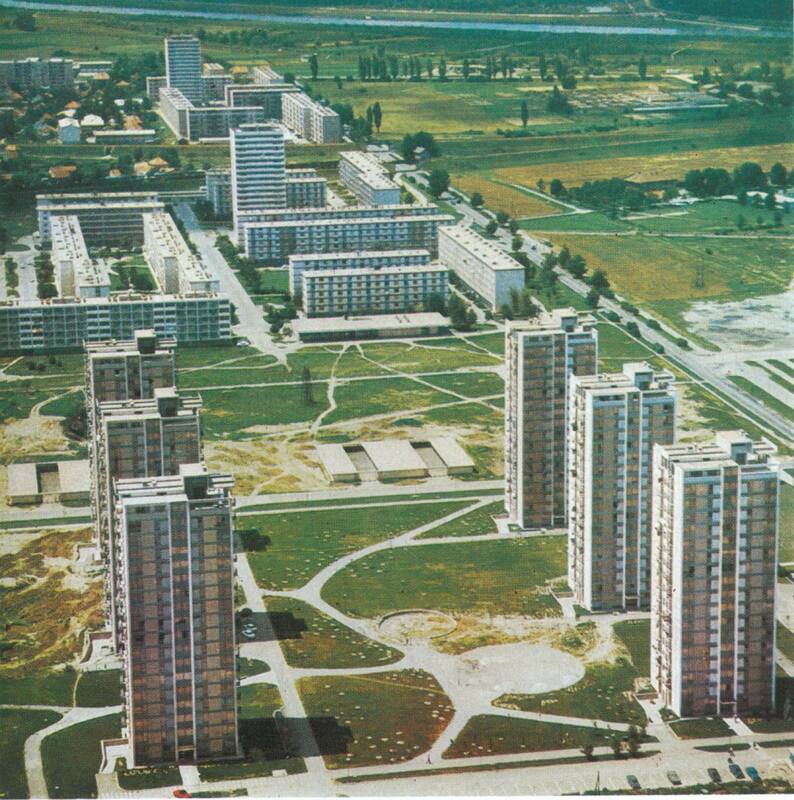 After the first buildings across the Sava were constructed, the Socialists used the concept of housing estates as the most economically and socially acceptable solution for housing. They were planned as organisational models where resident’s needs and functions were standardised through collective housing. The first of the housing estates, or ‘microraions’, were Savski Gaj and Trnsko, built in 1957, laying a path for other estates in the decades following. They were built on previously nationalised land and bordered by large avenues. Clearly influenced by Le Corbusier’s vision of the city, high-rise buildings arose across former flood plains and fields, leaving great shares of green, public areas in their center. Neighborhoods of New Zagreb were named according to historical toponyms found on old cadastral maps. New Zagreb’s housing policy provided an answer to ongoing de-agrarianisation and urban-based industrialisation of post-war Croatia. A growing number of industrial workers from other parts of Yugoslavia migrated to New Zagreb. At the time, large companies took significant responsibility for securing housing for their employees and their families. Often, entire storeys or even buildings were rented by companies for their employees. Other new residents moved in from older parts of Zagreb as housing conditions and prices were more favourable in New Zagreb. Certain flats were given to socially vulnerable groups, while others were granted to military personnel and civil servants coming from other Yugoslav republics. In general, New Zagreb’s population became more diversified, with PhD students living side by side with construction workers, teachers and military personnel. The population structure resembled that of the Socialist state, giving a symbolic name to the estates – Little Yugoslavia. Trnsko and Siget, around 1969. Mamutica, the largest housing object in (New) Zagreb. On a larger scale, planners went to great efforts to link New Zagreb with the ‘old one’. Starting from the 1962 South Zagreb Master Plan, which presented the first integrated vision of estates beyond the Sava, followed by the 1963 Urban Program of Zagreb and Bakema’s proposition for the Center of South Zagreb from 1965, the 1984 Studies of the central city area of Trnje, New Zagreb and the Sava’s coastal area and the 1980 plan for the Cultural and social center of the New Zagreb municipality, we catch only a glimpse of numerous plans developed for the so-called ‘heart of New Zagreb’. Ambitiousness and monumentality were among the reasons that left them incomplete. The 1984 Studies for the central city area of Trnje, New Zagreb and Sava’s coastal area. The reasons behind the incompleteness of the plans were the somewhat utopian goals accredited to the plans for the ‘new city’. High urbanisation rates provoked rapid housing construction, leaving little or no funds for services. 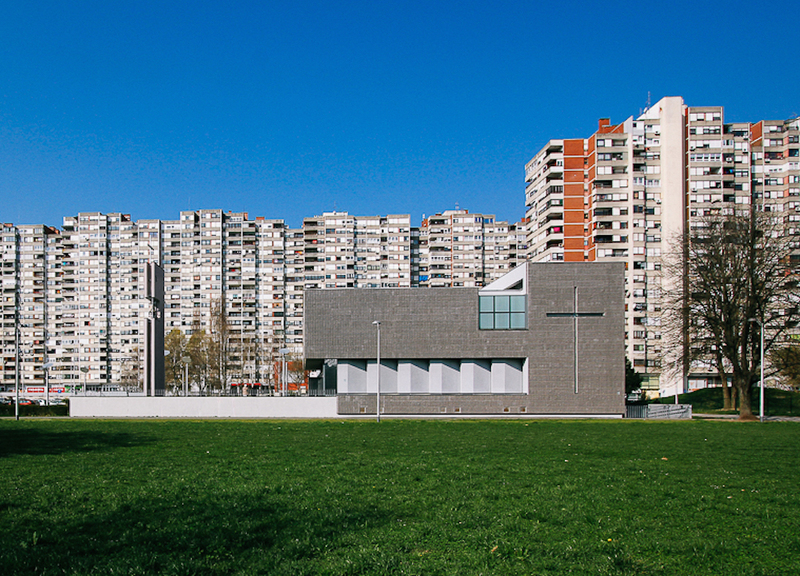 Critics followed, arguing that New Zagreb’s estates fell short in achieving housing quality and consequently social cohesion, which their residents confirmed. Living in areas urbanised by buildings only, with no services following, wasn’t what the residents hoped for. The first estates were constructed following strict functionalist aesthetics and geometric patterns of unified buildings, while in the following decades estates were planned with a more creative building distribution. Nonetheless, critics remained because cultural, public and commercial utilities were still lacking. The estates were mocked as dormitories. Parallel to further construction and despite the criticism, great efforts were put into mobilising the community. Despite common perceptions of the ‘total planning’ model, mass housing production went along with voluntary citizen participation. The idea of the ’collective’ became a founding stone for social and spatial change. Urban communities became the backbone of a growing new city, encouraging citizens to identify and propose what was missing. During the 1970s these communities became formalised in the self-government system as so-called ‘local communities’. Local communities directly involved citizens in planning and decision making by pointing out what was lacking regarding schools, culture and commercial services. By minimising the inbalance between planned and realised, local communities slowly created a sense of place in the ‘dead town’. The last of the estates were built in the late 1980s. From a highly ambitious plan to accommodate 250,000 residents in 24 estates, not more than half of them were realised, making home for a total of 117,000 residents today. 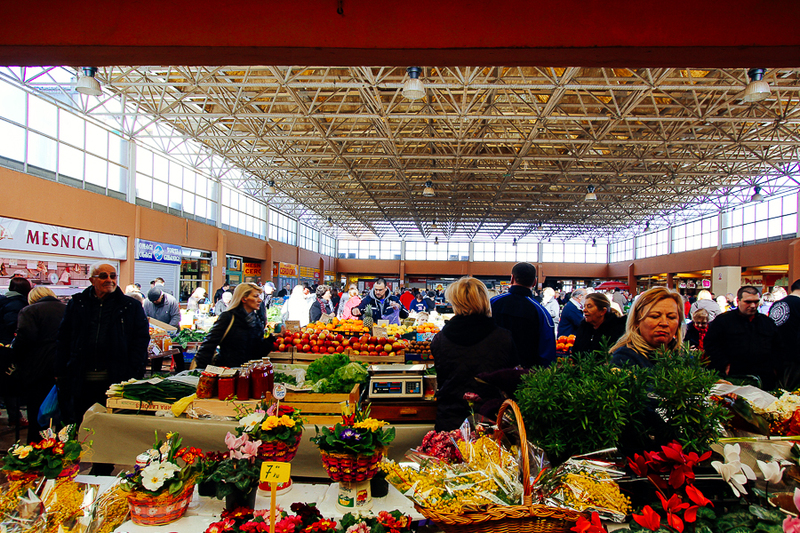 The process of ‘completing’ New Zagreb, a task enthusiastically carried out by local communities, ended abruptly in the 1990s as neoliberal changes stepped in. Following the demise of the Socialist planning system, profound changes swept across Zagreb. Planning and construction in the 1990s ceased due to the war. A number of Serbs left New Zagreb while other residents, mostly from war-affected regions, moved in. In general, the 1990s brought social tension arising from economic decline, growing unemployment and appearance of ethnic and national identities, previously unknown to Little Yugoslavia. Unlike the 1990s, the 2000s marked a turning point in planning. New Zagreb’s wide avenues, low building density, land prices and the whole Zagreb agglomeration in its hinterland served as ideal prerequisites for land-use development. Hypermarkets were built, followed by several business zones, residential complexes, a new city sports hall, shopping centres called Arena and Avenue Mall, two state-subsidised housing projects, the Museum of Contemporary Art, the South East European Centre for Entrepreneurial Learning (SEECEL) and other projects are currently on the way. Implementation of these projects differed notably from the previously well-established planning system, as some of them entailed a profit-making narrative and lacked participative and strategic practices, thus leading to fragmentation of public space. Former local communities have been adjourned in 1993 as well, with no successors until 2009. Bundek Center was built on an area planned for the so-called ‘central city axis’, between the recreational lake area Bundek and the newly built Museum of Contemporary Arts. By developing the center on this specific location, it interrupted a previously planned cultural zone. Despite the shortfalls of recent planning, what can be said with certainty is that facilities missing for decades were provided in the recent period. 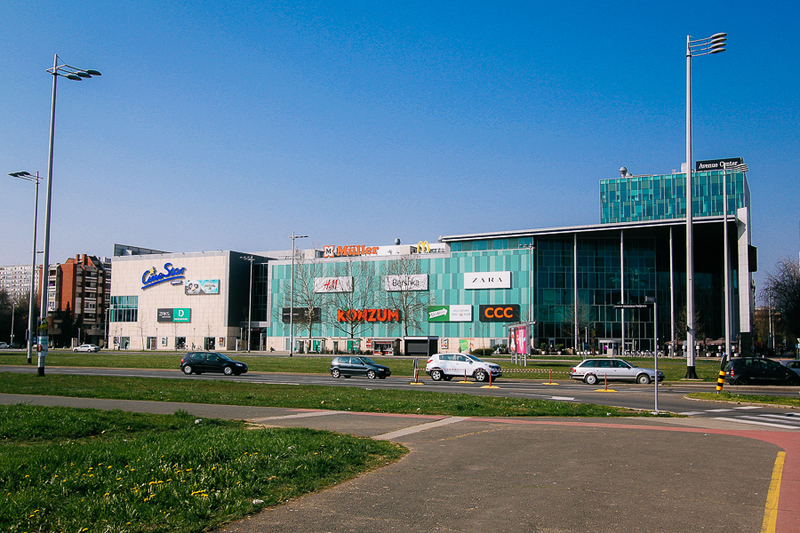 Shopping centre Avenue Mall, opened in 2007, brought the first multiplex cinema to New Zagreb. On the same intersection the Museum of Contemporary Art was built two years later. On a smaller scale, a network of stores, markets and services appeared throughout the estates, providing their residents with almost everything within walking distance. 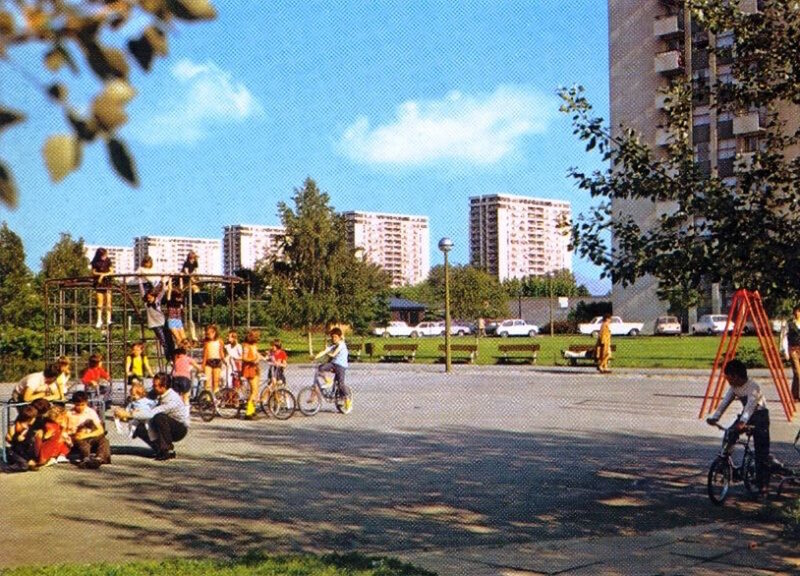 The first time after urbanising areas south of the Sava, residents didn’t have to travel across the Sava for entertainment or shopping. 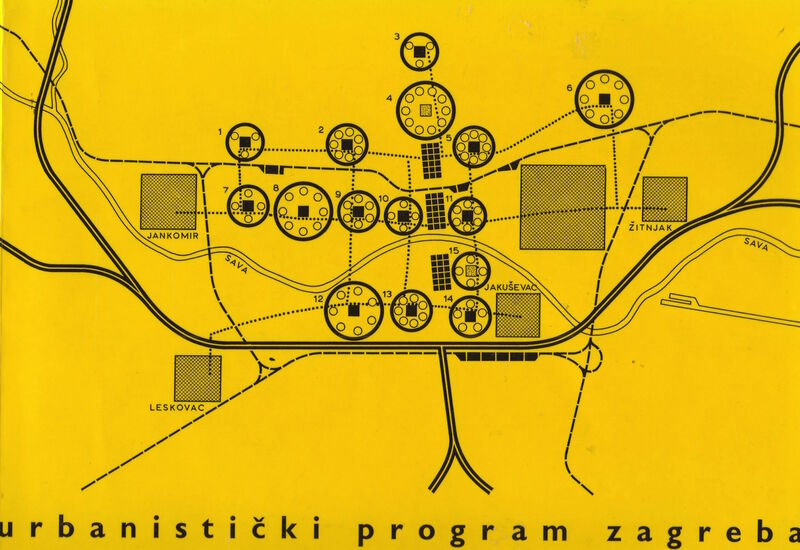 One can say that the historic plans for developing New Zagreb’s center, tracing back to the 1960s, were being realized, but in a specific post-socialist, non-participatory manner. 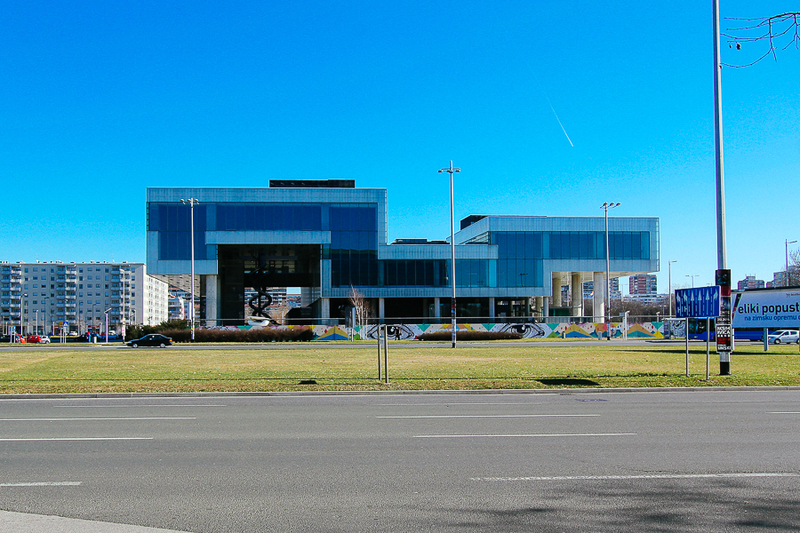 For example, on the location of the aforementioned Cultural and Social center of the New Zagreb municipality, ironically a new shopping mall was built. Unlike the former local communities, their recent successors – ‘local boards’, established in 2009 – haven’t consolidated the community’s role in planning. Some projects provoked a response, others not so much, resulting in sporadic disapproval. The shaping of what was once known as a dormitory, now continues under a free-market agenda, with only a bystander role given to local community. Regardless of the changes occurring in New Zagreb, people would often still recall its Socialist past and invoke a notion of a working-class dormitory with social housing. Although estates across the Sava were populated by an array of people of different nationalities and professions, this wasn’t enough to change the way New Zagreb was perceived. It was a way of understanding changes happening on the ‘wrong side’ of the Sava, but also understanding the planning challenges which Zagreb faced during the transitional period. Beyond these biased views, it is a fact, widely acknowledged by planners, architects and experts, that New Zagreb leads in quality of life in comparison to other Zagreb neighborhoods. Its housing districts, recognisable by great swathes of public spaces, have finally created a sense of place in the mindset of its residents. This is a story best told by New Zagreb’s residents and best read through its parks, markets and playgrounds. New Zagreb’s public and green spaces – designed half a century ago and serving as social spaces to this day – are the first thing that the majority of Zagreb’s residents identifies New Zagreb with. The attractiveness of New Zagreb is closely linked to these spaces, which play the role of ‘living rooms’ for their citizens. Images of residents improvising tables and chairs in the shade of trees, turning green areas into flower gardens or just spending most of the day outdoors playing chess or chatting, are commonly seen in New Zagreb’s neighborhoods. Notions of New Zagreb as Zagreb’s southern dormitory and a working-class district are slowly being forgotten, as people recognize its successful planning, favorable rent prices, accessibility, public spaces, its tradition of social diversity and new facilities as well. A photo from 1975, showing Siget’s public spaces and parks. 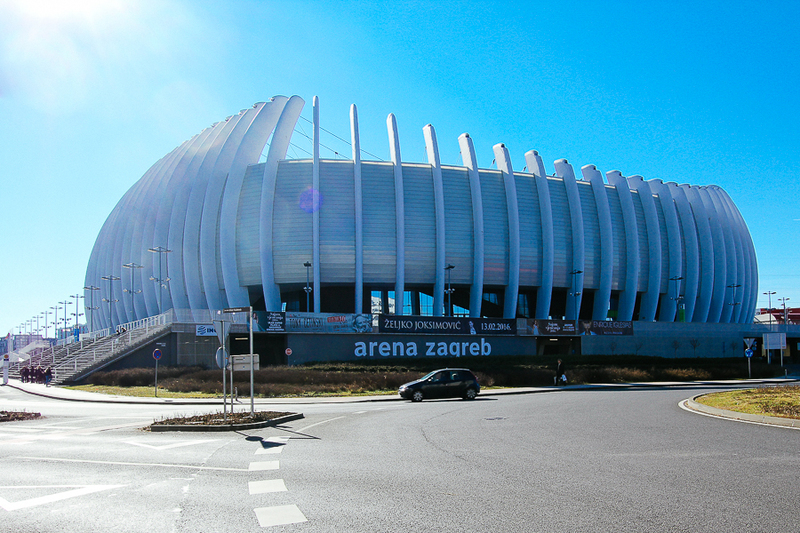 60 years have passed since the first steps of expanding the city to the south of the Sava were made, and a lot has been done in connecting ‘the two Zagrebs’. Neighborhoods across the Sava are slowly losing the image of obsolete Socialist leftovers and being recognised as examples of successful planning for housing, while contemporary redevelopment is entering New Zagreb as well. But recent changes contextualised through a New Zagreb-as-more-than-a-dormitory narrative share little with its planning legacy. New facilities greatly contributed to ‘finishing’ New Zagreb, but came with a price of fragmenting much valued public space and neglecting key assets of New Zagreb. Some cases have proven that profit-driven restructuring, justified by the ‘need to modernise the obsolete socialist legacy’ and enabled by poor management of city assets and a lack of participative practices, has prevailed. When talking about New Zagreb, one should take the efforts of building a completely new city and establishing new communities into account, and the community’s role in its planning as well. As New Zagreb’s first generations contributed to its planning, so must the present ones in any upcoming redevelopment, in order to ensure New Zagreb’s specific genius loci. This could help to ensure spatial sustainability, step by step and estate by estate. Slaven Kliček earned his master's degree in Spatial planning and Regional Development at the Department of Geography in Zagreb and is currently working as an EU project assistant at the University of Zagreb.